Rousseau's Fine Furniture and Decor: Say hello with your front door! 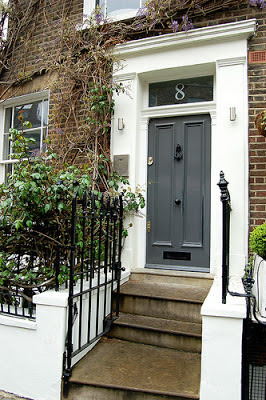 Say hello with your front door! Looking at the forecast for the upcoming weekend for Whitby, we may get a lucky stretch of sunny and mild weather. Ideal climate for an outdoor hike or painting your front door. Here are our TOP 10 favourite front doors to get inspired by. 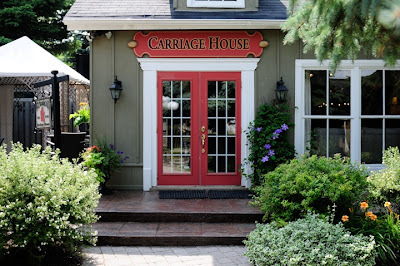 seen here on the Rousseau's Carriage House front door. It sure is welcoming! 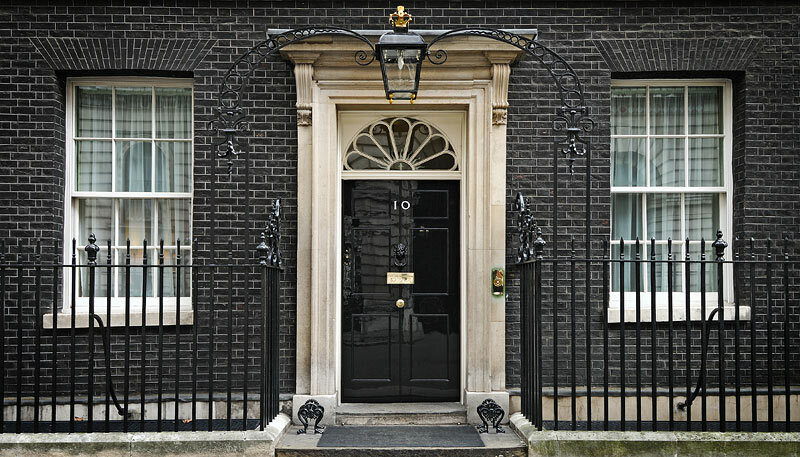 Classic black always makes a statement. 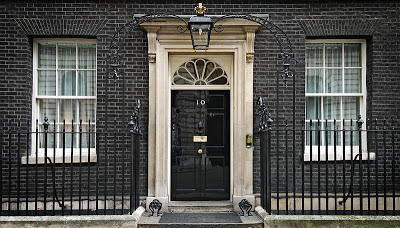 Black is not only for famous residences like 10 Downing Street. 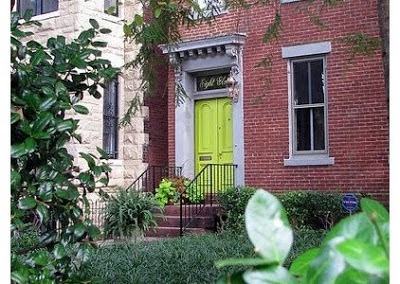 Cool chartrouse on this red brick home seems just right. 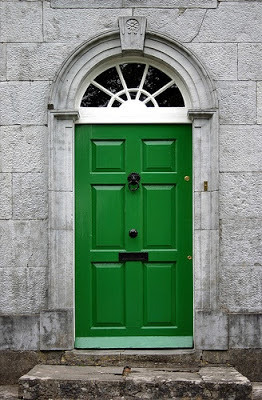 Bold kelly green makes this door pop. 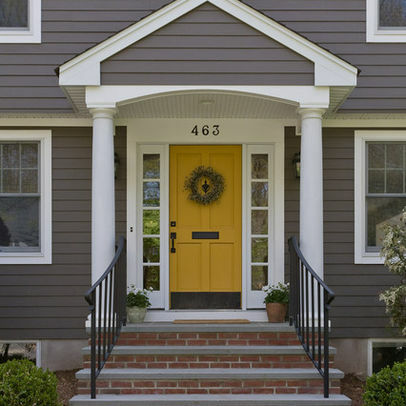 Subdued gray makes a quiet, yet sophisticated entrance on this home. 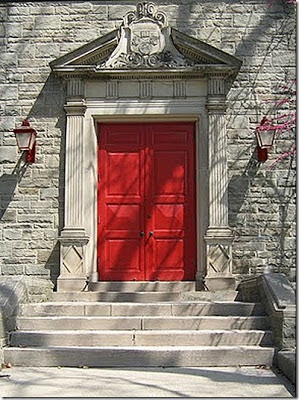 Red doors are an all time favourite way of saying hello to your guests. 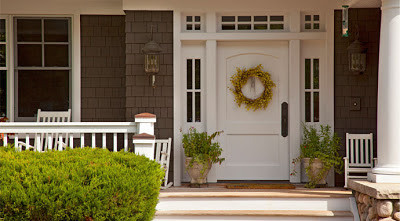 Some of us prefer a soft taupe on our front door, a subtle greeting as we drive up to our home. 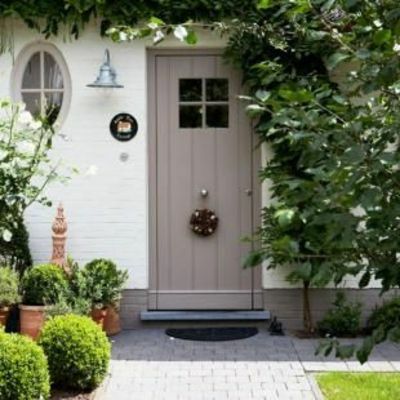 A few houses can pull off the white door look. 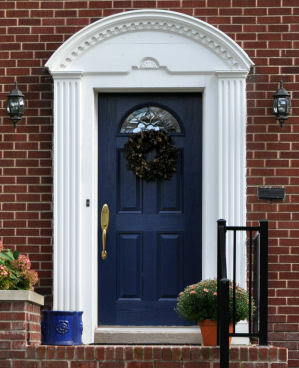 A regal navy blue can look grand on a red or brown brick home. Bright, sunny yellow door is a wam greeting on any day. How does your front door say hello?